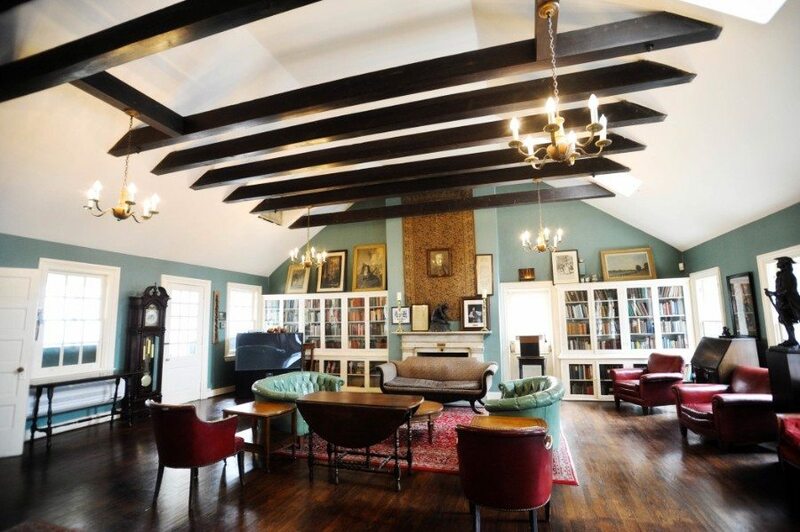 The Inn soon became a meeting place for novelists, poets, scholars, and journalists. 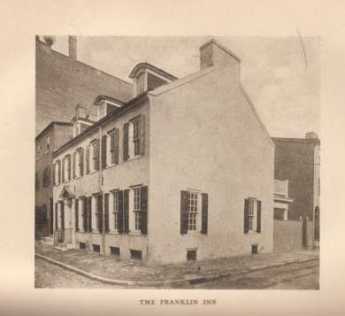 The Franklin Inn Club originally limited its membership to published writers and illustrators, and it soon became a meeting place for novelists, poets, scholars, and journalists. The “publish or perish” requirement for membership was gradually removed so that today the club welcomes members with interests in many fields: the arts, education, social and political affairs, history, science, economics, medicine, and law. Early members wrote and produced plays, masques, musicals, and other theatrical productions—a tradition that the Club recently revived in connection with the Philadelphia Fringe Festival. In 1980, The Franklin Inn took the then-extraordinary step of extending membership to women—the first private Philadelphia club to go co-ed. Scant steps from the hustle and bustle of a great modern city, hidden in plain sight from most Philadelphians, stands a cozy oasis of comfort and civility.